Over the last two decades, in addition to teaching Meditation to many, Guruji Krishnananda has brought down abundant rare Spiritual Knowledge from the Rishis. The Rishis are the Light Masters, who are the administrators of this Creation, and the Source of all Knowledge and Wisdom. 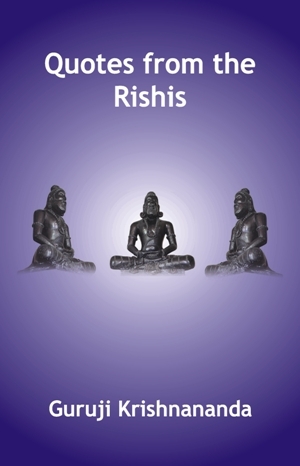 This book contains the Wisdom received from the Rishis in the form of quotes and excerpts like "Renunciation is more a spiritual attitude than actual dispossession of things", that help us in our Spiritual journey.